C. H. Spurgeon said of Richard Sibbes, 'He scatters pearls and diamonds with both hands', and the same could be said of another well-known Puritan: John Flavel. This little book is full of thought-provoking quotations drawn from Flavel's writings. Most focus on Jesus Christ, but they also include topics such as providence, conversion, suffering, heaven, and glory. 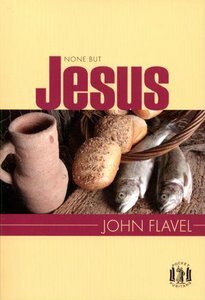 About "None But Jesus: Selections From the Writings of John Flavel"